Vacations aren’t just about relaxation, these days, many people are looking to make self-care a priority by pairing wellness activities with kicking back in the sun. Savor river breezes and downtown scenic views while reaching your daily step goal on the Riverwalk, stroll through enchanted parks and gardens, practice your Zen, serve and schedule your tee time. Don’t forget, wellness also equals relaxation, where salons, spas and local health-focused juice bars and restaurants help bring your wellness vacation full-circle. Better your mind, body and spirit with a getaway to Wilmington and our island beaches. Lace up your walking shoes and step out for some exercise with a side of history and education. 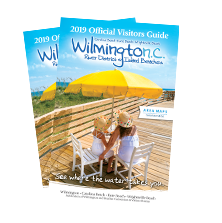 Walking tours provide a unique insight into Wilmington and our Island Beaches. 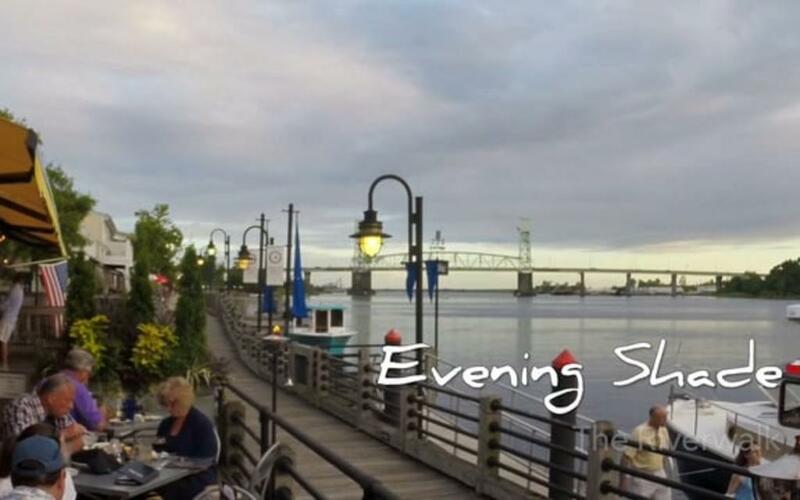 Start by walking along the nearly-two-mile Wilmington Riverwalk and immerse yourself in the vibrant culture of historic downtown. Burn those calories and get your heart racing on a Ghost Walk of Old Wilmington where ‘active’ comes with a dose of history and haunts as you venture to the city’s most actively haunted homes and burial grounds. With 400+ film credits under our belt, film buffs can experience big-screen Wilmington in real life on a 90-minute Hollywood Location Walk. History buffs can immerse themselves in the days of yesteryear on a guided walk with Tour Old Wilmington stopping off at notable historic downtown landmarks. Meet local artists and gain abundant inspiration as you embark on a self-guided arts and culture tour during Fourth Friday Gallery Nights, where local galleries in and around downtown open their doors to the public. Take a stroll through Airlie Gardens, home to 1.2-miles of walking trails that meander through unique fauna and flora around seven acres of lakes. Bird watchers can participate in the monthly Bird Hike through the myriad of landscapes where over 200 bird species have been spotted. A popular spot for a sunset run, Hugh MacRae Park is landscaped by towering pines around the three-mile Hugh MacRae Loop Trail. 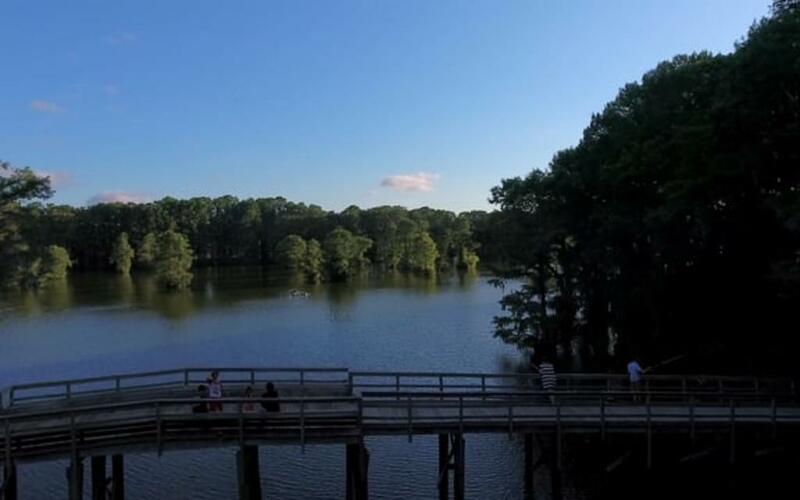 With an almost five-mile biking and walking trail beside the lake and elegant live oaks draped in Spanish moss, Greenfield Lake Park & Gardens is a dreamy place to explore on water by rental paddle boat or canoe, or along the trail on bike or foot. If off-road is more your thing, Blue Clay Bike Park offers an eight-mile off-road trail suitable for all levels of bikers, runners and hikers. Skateboarders can drop in at local skate parks including Greenfield Grind Skate Park and Ogden Skate Park. Channel your inner-yogi where practicing yoga extends beyond the mat and includes scenic views and unique locations. Take an all-level yoga flow class aboard the Battleship NORTH CAROLINA where history, river and downtown views complement your experience or pair your yoga with a pint at Waterline Brewing. Experience Yoga in the Gardens at Airlie Gardens, Seaside Yoga at Blockade Runner or SUP Yoga provided by Longwave Yoga. Located in a restored church, Terra Sol Sanctuary provides a variety of classes and workshops in a unique, light-filled atmosphere that both preserves and re-interprets Wilmington’s historical past. Practice yoga to the sound of crashing waves at our island beaches. 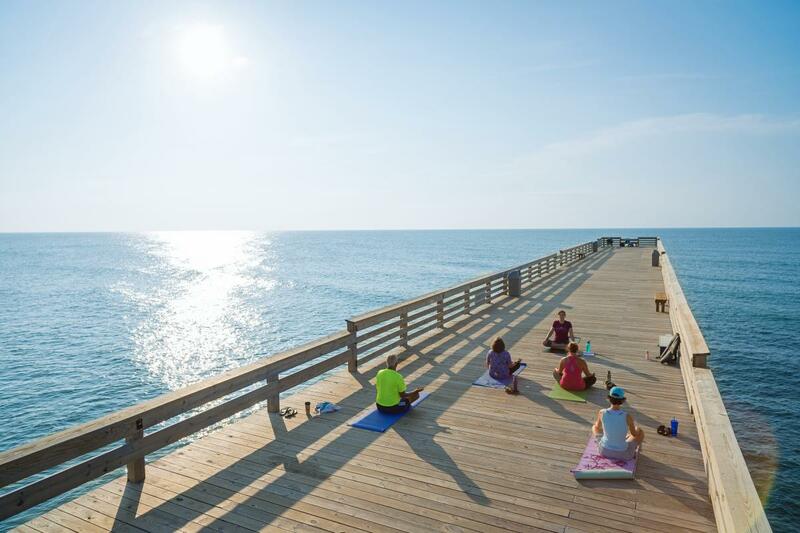 Yoga gets elevated, literally, on Crystal Pier where you can have a sunrise yoga session to start your day the Namaste way. Take to the shore for a yoga session on the beach through Salty Dog Yoga & Surf at Carolina Beach. 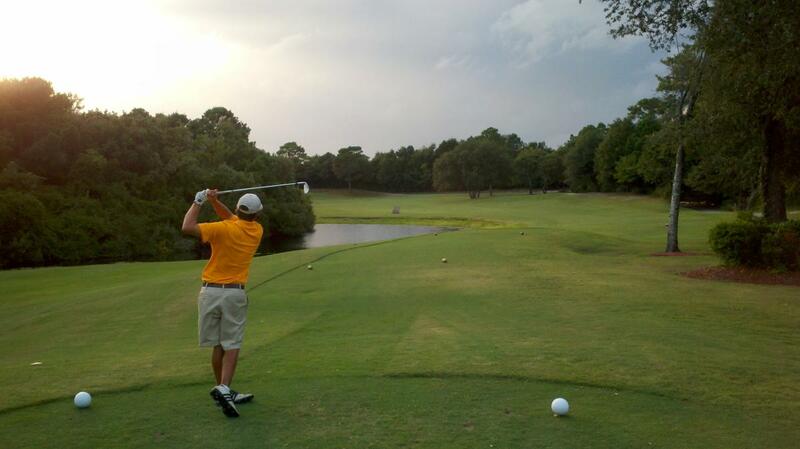 If you’re in search of tee time, golfers can choose from several area golf courses. The 18-hole Beau Rivage Golf & Resort is carved out of a long-needle pine forest and includes lush greens, sandy hills and water views. Porters Neck Country Club’s 4-star, 18-hole golf course, designed by world-renowned golf architect Tom Fazio, makes it easy to spend a whole day playing golf in the beautiful setting. Or make a day of it playing 18-holes at Wilmington Municipal Golf Course designed by Donald Ross. Play doubles at Althea Gibson Tennis Park, home to eighteen hard courts or venture to Ogden Park where nine tennis courts make it easy to practice your serve. From sunup to sundown, wellness is well-accompanied by nourishing ingredients. Start your day with a cold-pressed juice from Adapt Kitchen and Juice Bar on Wrightsville Beach. EPIC Food Co. is a perfect stop for lunch with an assortment of clean eating items on the menu, from bowls to wraps, with gluten-free and vegan options available. Dine in or grab-n-go from Clean Eatz with a variety of properly portioned, health-minded meals or pop into The Veggie Wagon at Carolina Beach for grab-n-go health food options accompanied by an assortment of local craft beer on draught. 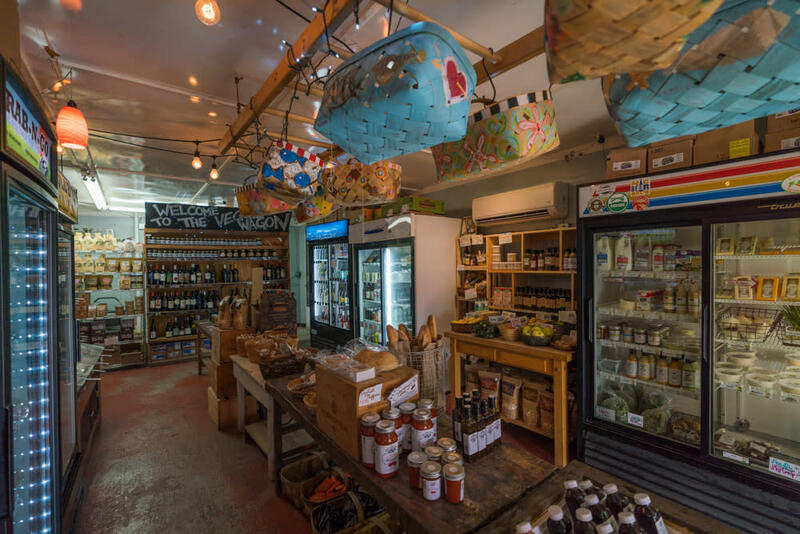 If you’re searching for natural and organic groceries and products paired with an assortment of lunch and dinner options, visit Lovey’s Natural Foods and Café and enjoy eating clean in the dog-friendly, outdoor patio. For a mix of eating clean with a side of indulgence, try Sealevel City Gourmet with options like their signature lentil burger, vegetarian empanadas and even sushi rolls. Wellness includes relaxation too and there are plenty of ways to kick back. Ki Spa combines natural products with healing techniques in a holistic approach, with services including massages, facials and a variety of special event packages. The certified green salon, Sage Salon and Spa, offers a variety of rejuvenating options from massages to hair care using vegan, natural and organic products. If retail is your form of therapy, walk and weave your way through a variety of shops located in eight historic buildings that make up The Cotton Exchange or spend a day at Mayfaire Town Center, an open-air shopping center featuring a variety of brand name stores, eateries and Regal Mayfaire Stadium 16 & IMAX Movie Theatre. There are endless options for getting active on our island beaches. 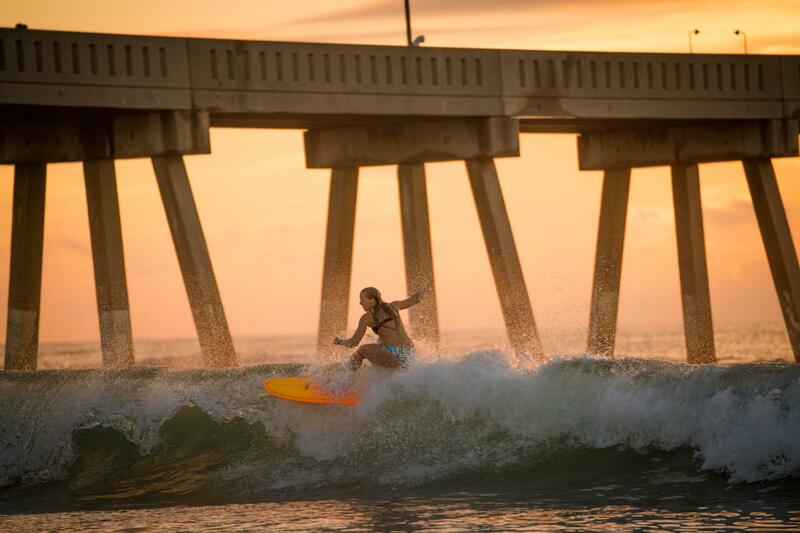 Hang-ten in the birthplace of North Carolina surfing with a surf lesson at Wrightsville Beach, try your hand at stand up paddleboarding (SUP) or take in the marsh and Intracoastal Waterway views from the 2.45-mile Loop that traverses the island. Outdoor enthusiasts love Carolina Beach State Park where six miles of trails weave hikers in and out of a maritime forest accompanied by waterside views, raised bed trails and the native Venus flytrap. If you’re looking to get out on the water, kayak around the closest freshwater lake to the ocean at Carolina Beach Lake Park. Eco-adventures meet idyllic relaxation at Kure Beach. Hike the 1.10-mile Basin Trail at Fort Fisher State Recreation Area to see unique coastal wildlife and a WWII bunker, or go on a guided kayak tour to Zeke’s Island Reserve, home to rare migrating species including loggerhead sea turtles. From yoga in lush gardens and run/walks with coastline views, to fishing and surfing competitions, it's easy to find your flow with healthy events. Maintain your health and wellness with a visit to area spas. Pamper yourself with a massage, facial or custom spa treatment. Step into scenic parks and gardens, tour around lakes and travel from the river to the sea along multi-use urban trails. See the locations where Chad Michael Murray, Sophia Bush, James Lafferty and Hilarie Burton began their television careers. Explore "Capeside" from the hit television show on a walking tour of Dawson's Creek filming locations.